Wednesday A.M. Hot Clicks feature the lovely Laken Michee and the Jeopardy contestant who didn't recognize the Warriors logo. Vanilla Lab BCN mashed up NBA logos with cartoons from the 1980s. I really love the Vancouver Carebears and I'm willing to forgive the New York Ghostbusters using the Boston Celtics logo. 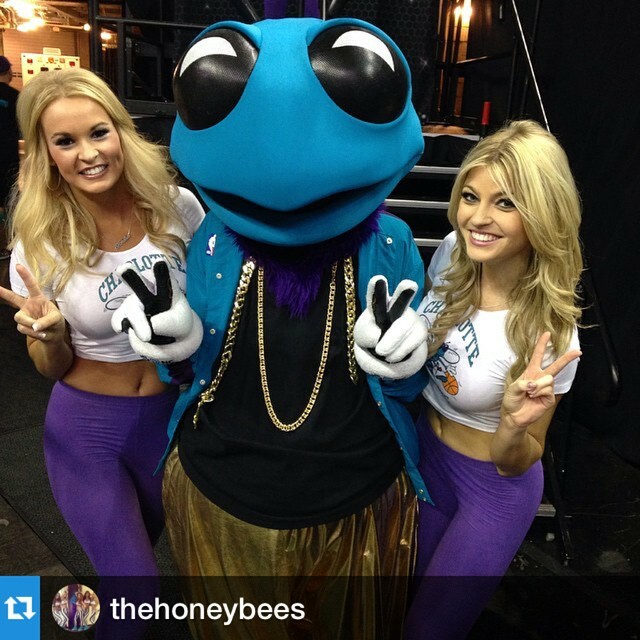 The Hornets moved things up a decade with their impressive '90’s night. Ken Shamrock has written an open letter to longtime rival Royce Gracie asking for a rematch after Gracie defeated the former UFC and WWE champion with some help from a knee that may have landed too far below the belt. This looks awesome and I want to play right now. Whether you support Hillary Clinton or hate her, it's tough to argue that a tattoo of her winking is not a good idea. K.C. catcher Salvador Perez got a five-year, $52.5 million deal Tuesday. The all-new SI Vault is officially open for business again. I spent a lot of time on this and it's pretty badass so check it out ... The Toledo Walleye's Zombie Night is one of the better theme night ideas I've seen in a while .... Just a wild guess but I don't see Curt Schilling voting for Hillary Clinton in November ... If Las Vegas gets a NHL franchise, I hope these are the uniforms ... D'Angelo Russell had a breakout game as the Lakers beat the Nets ... Is Anthony Bennett the worst first overall pick in NBA history? ... Nelly once beat a tipsy Allen Iverson at HORSE ... Everything you wanted to know about bodega bagels (but were afraid to ask) ... Tina Fey's new movie (Whiskey, Tango, Foxtrot) looks pretty good ... 20 trashiest spring break destinations. ... Gallery: The Night in Sports (March 1), with an animated Michael Jordan at the Hornets game. Congrats to Oregon State's Gabe Ovgard. These videos are the best.